Now-a-days, there is an increase in people using mobile internet. If you want to advertise or get traffic from that mobile users, then Mobstac is the best source for you. MobStac makes your Website mobile friendly thus giving a secondary traffic root. There's no doubt that many Web apps are offering decent service to make your website mobile friendly, but MobStac from Mobilemotion (Bengaluru based startup company) looks very auspicious. Mobilize - MobStac is HTML5 enabled with enhanced experience. Maintain database through various Content Management System's(CMS) like drupal, joomla, blogger and wordpress. Impel user experience across every mobile and tablet device. 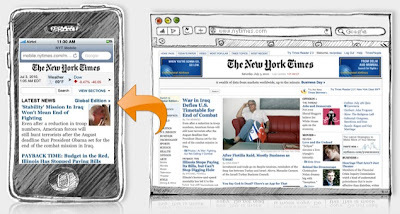 Customize - Style your mobile site with many themes and capability to edit CSS. Organize content by navigating through proper menus and links. Use your own sub-domain to serve mobile site. Supports Video Streaming on all smartphones. Engage - Get more traffic by Search Engine and Social Media Optimization. And also with two-way commenting powered by Disqus. Monetize - Advertise with Ad Networks, Custom Ads and Enterprise Ad Server. Track - Analyze your mobile site visitors, how, when and from where there are coming from using MobStac Analytics or Google Analytics. Get more information on MobStac Site.